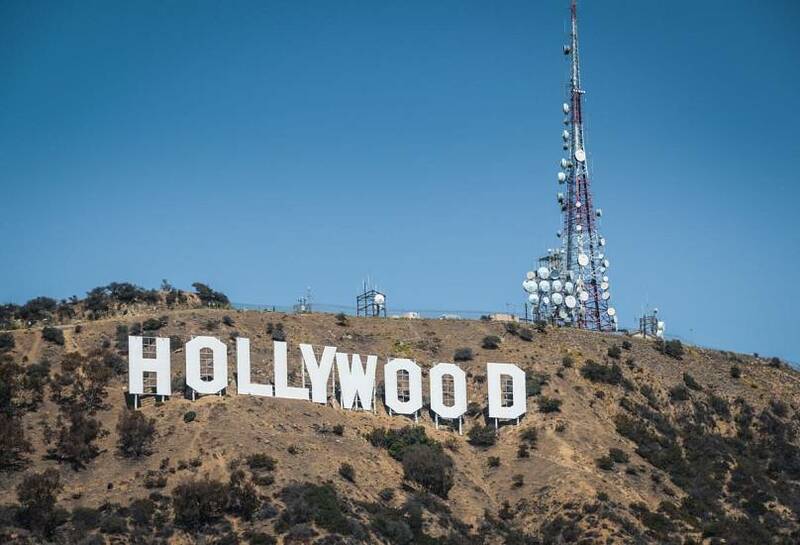 Los Angeles is known as a haven for those who love to lead a healthy lifestyle! A hikers paradise with plenty of trails, raw nature and hills overlooking the cosmopolitan consumer town. If you really want to share what celebrities and many visiting VIPs experience, stay at the Beverly Hills Hotel. This is one of the most inspiring hotels I have experienced. 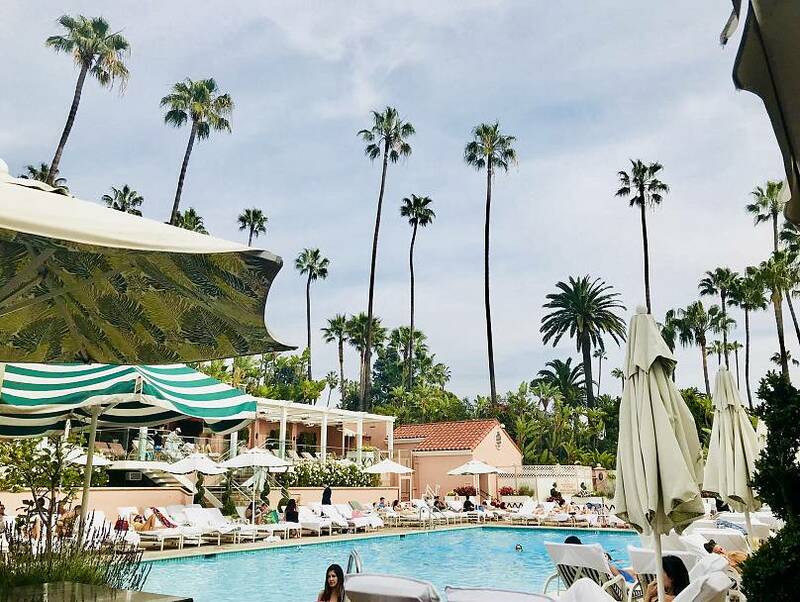 It is a true joy to see the pool with its cabana and the waiters in pink and white striped uniforms serving you cold refreshing fresh lime juice. Or, visit the renowned Polo Lounge Bar on Sunday for brunch with live music. The terrace is surrounded by a colourful garden of palm trees and Bougainvillea. Or try a boutique hotel that the city is famous for, such as the Waldorf Astoria downtown. It has a hip new scene and the rooftop terrace is a must see, so make a stop for drinks or dinner with sunset views. There are so many to choose from here, especially if you love organic or vegan foods. This city can offer you almost anything for any allergy and diet preference. I personally loved having lunch at the IVY on Robertson. It is a classic. Book in advance and ask for a table on the terrace where you will be seated among colourful carnations. Don’t forget your Welcome Champagne or Mimosa at the bar before you are seated. And don’t be surprised by the paparazzi waiting outside hoping to catch a shot of someone famous lunching. Catch (which opened one year ago) has Terrace views with phenomenal Asian and sushi style cuisine. If you can somehow manage to get into the Soho House (maybe through a friend with connections) I highly advise you to pay them a visit for dinner or even just drinks. LA style is very casual and trendy. So, jeans and a cute top with a leather jacket will work almost anywhere. I'm sure you’ve seen this infamous shot of palm trees in a row, take North Beverly drive from the BHH towards Rodeo drive and catch this famous snapshot. I love Malibu and it is so close to the beach, only a 40 minute drive from LA. Visit the Malibu Country Mart, which has many cute casual stores and cafes with delicious healthy-inspired salads or Italian foods. Be sure to avoid rush hour because traffic is horrendous in this city and a simple journey can take hours. Santa Monica or Venice Beach are great alternatives if Malibu is too far. These beaches have promenade areas where you can walk and discover little shops and restaurants off the beach, play volleyball, or rent a bike. 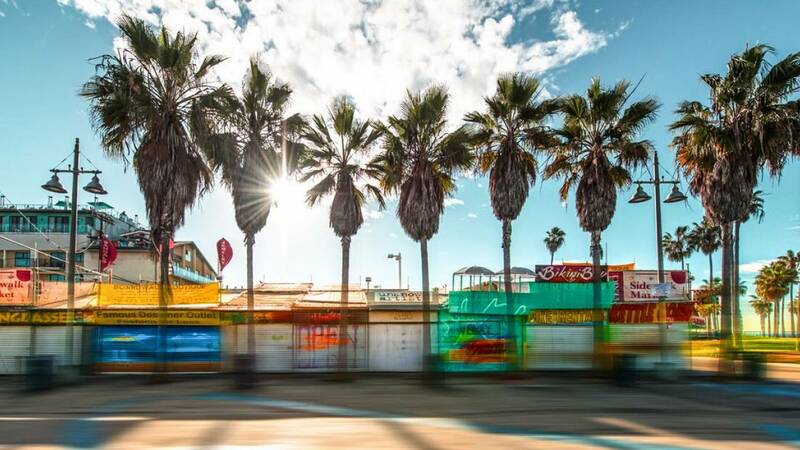 Don't miss the beach atmosphere here or the rollerblading and entertainment in Santa Monica. You can visit Shutters On The Beach for lunch or coffee and they have an outstanding IVY restaurant there as well. The shopping is great here. In Venice Beach you can find many local artisans displaying their clothing and jewellery designs off the beach and promenade. I purchased some baseball caps from the Beverly Hills Hotel in fun colours for my friends, as well as some cute children's clothing, pens and other trinkets with the famous logo of the green palm leaf design.